North Norfolk is quickly becoming one of the best loved holiday spots in the UK. People come from far and wide to enjoy trips to the beach, walks in the unspoilt countryside, visits to bird and nature reserves, or to sample the delicious local food. 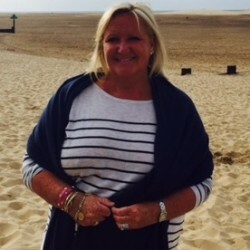 Local blogger Sarah Ruffhead has lived in Norfolk for 45 years. She moved to North Norfolk 13 years ago, and can’t recommend the area highly enough. “It’s a very special place and I haven’t looked back since the day I moved here. Like anywhere, there have been changes over the years. More houses, more shops, more places to eat and more people who want to spend time here, whether it be for a holiday, every weekend, or full time. But the heart of the place hasn’t changed. 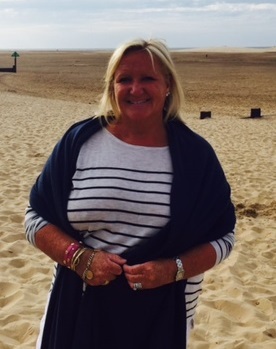 Sarah is a bit of a foodie and a keen supporter of the ever growing range of eateries in North Norfolk. One of Sarah’s favourite places to eat is the café at Wiveton Hall. 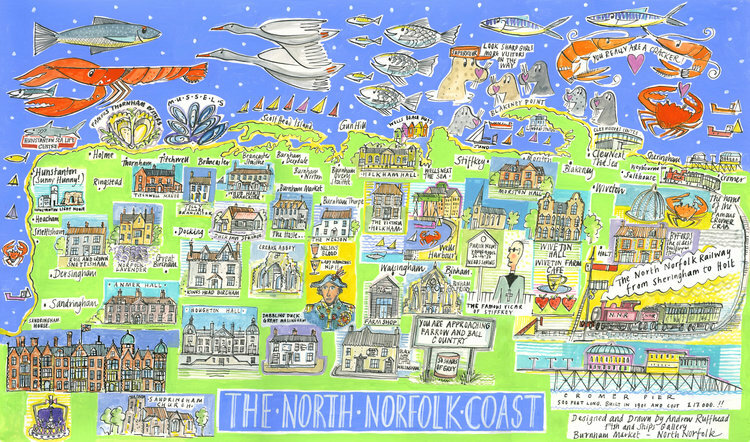 She spoke to us about why she loves it and gave us some recommendations for other great places to eat in North Norfolk. Wiveton Hall is a 17th century Jacobean manor house with farm, gardens and café situated in Holt, near the Norfolk coast. The café is very popular with locals and visitors alike, often fully booked and with a queue of hungry people at peak times. Nearly all the fruit and vegetables used in the café’s meals are grown on the farm and can be bought daily from the shop. Anything not from the farm is from local farmers and fishermen, all of whom enjoy a strong relationship with the café. “The café also has themed food nights. They serve home-made delicious pizzas from their wood-fired pizza oven that was blessed by the local vicar no less! If you like Mediterranean food then you’re in luck, as they have Tapas evenings every Friday and Saturday, accompanied by live Spanish guitar music. These are always great fun to go to with a crowd of friends. For manager and head chef, Ben Pert, the fresh, local produce is the star of the show. “Our ethos at Wiveton Hall Café has remained the same since it opened 10 years ago, when Alison Yetman was at the helm. We produce fresh, seasonal food, utilising as much of the produce grown on the farm as possible. We are extremely lucky as chefs to have such incredible ingredients delivered to the kitchen door every morning, and during the busiest periods, we have some amazing local producers who help us keep up with the demand. All Wiveton Hall produce is sold in the shop including home-made preserves, granola, salads and dressings, plus the freshly grown fruit and vegetables. They also stock locally produced goods ranging from wine, oils, honey, crisps and chocolate to tea and ice cream. Flowering plants and herbs from the garden are available throughout the year, plus small businesses showcase their goods, which include pottery, homeware, art, stationery, children’s toys, books and cookware. Sarah had some recommendations for other places to eat nearby too. 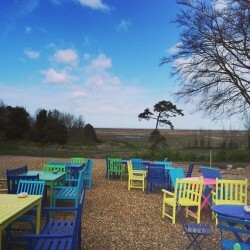 Best place for fish and chips: The recently opened Eric’s Fish and Chips in Thornham does great fish and chips with a modern update. 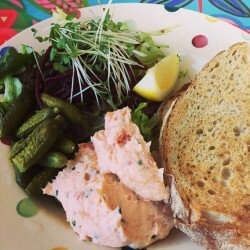 They use only fresh, seasonal fish and local produce, have numerous vegetarian options and can cater for gluten free. They also have an extensive wine list. Best place for picnic food: “Humble Pie deli in Burnham has been open since 1980 and stocks the yummiest of picnic foods.” Everything is hand-picked and is always taste tested before being stocked. Best place for family dining: The Anchor at Morston serves classic pub dishes for a family supper, with fresh, seasonal fish and buttered samphire on the menu. 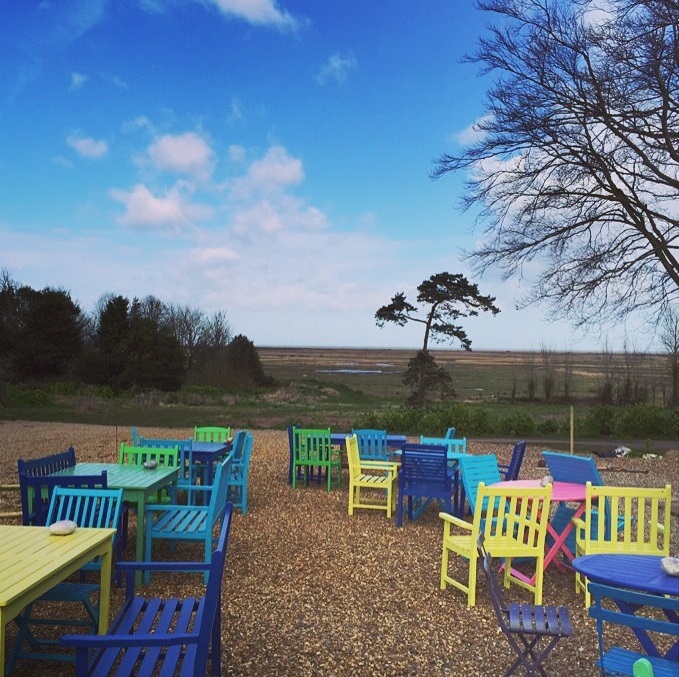 Best place for afternoon tea: Enjoy the great view of the quay and boats whilst sampling a traditional afternoon tea at the Blakeney Hotel.